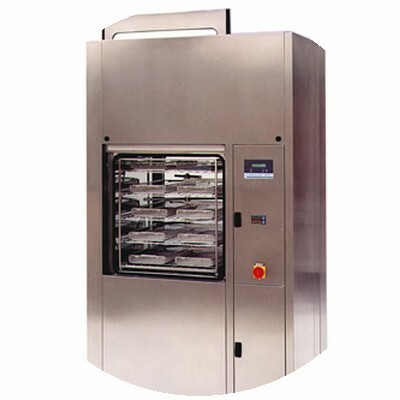 DawMed International are a leading manufacturer of medical washing machines. They have a wealth of experience in the mechanical design and market requirements for these products but approached Tritec when they needed to design the control electronics and firmware for their new range of machines. Tritec undertook the design of the two main PCB’s – the microprocessor control circuit and the switching board. Both the microprocessor control circuit and a separate switching board were designed and laid out, and the prototype circuit boards built. The firmware for the microprocessor control was written, and system integration, commission and test undertaken in conjunction with the client’s engineers. Assistance was then provided in handing over the PCB designs to specialist contractors for production runs. Realising that the customer was likely to create a range of machines using the same set of electronics, our engineers developed the firmware with flexibility in mind. The relationship with the client has continued for over ten years now, as the same circuit board has been designed into several new products, each with different software requirements. Following on from the original project, PC software to communicate with and control several modules at once has also been commissioned from Tritec. The most recent variant of the products is controlled from a Windows based touch screen.